Last week at Back To The Old School, The Players Club defeated the duo of “The Violent Gentleman” Aesop Mitchell and Johnny Swashbuckle. Aesop was less than thrilled to find out his randomly selected partner was none other than The Pirate as the two bickered throughout the match. J Cash and TW3 move on to face The Foley Brothers, who sat ringside and almost got involved in this first round match. 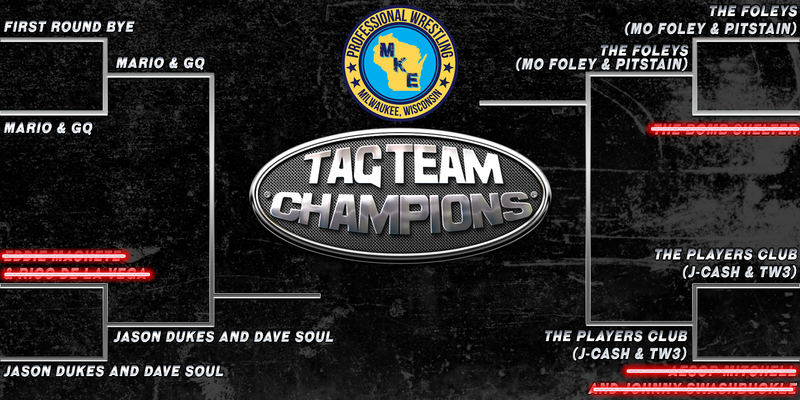 There was some serious tension in the ring as Mo Foley & Pitstain stared down their opponents in the Semi Finals. Live from Knights of Columbus on November 23rd: BLACK FRIDAY, see The Foley Brothers take on The Players Club! The winner will secure their place in the finals, as we crown our first ever Tag Team Champions on December 28th.